COLLEGE STATION, Texas — Here at LetsRun.com, we pride ourselves on churning out the most comprehensive previews of the mid-distance and distance events at the NCAA Track & Field Championships. But we know that most casual fans of the sport don’t have time to read thousands of words on athletes who, for the most part, they’ve never heard of before. It’s okay. It won’t hurt our feelings if you don’t read every word because you’ve got other obligations — like, say, a job, a spouse or a kid. Or all three. But fear not, married track fans of America. We’ve got your back. Below, for people like our friend Chris Lear (married, dad and employed), we’ve summarized the five biggest storylines from this weekend’s NCAA indoor champs at Texas A&M, which you can stream live online via Watch ESPN on Friday and Saturday (schedule/broadcast information here). Read this preview and you’ll be able to watch the meet like an informed fan. And if you want to know more about any of the distance races, you can always dive into our event previews here. Oregon’s Edward Cheserek — who followed in Galen Rupp‘s footsteps by pulling off the crazy 3k-5k-distance medley relay (DMR) triple last year looks to be going for an even more audacious feat in 2017: he’s entered in the mile, 3k and 5k and could run the DMR as well. Cheserek has won NCAA titles at all four of those distances in the past, but never in the same meet. But he’s the #1 seed in the mile — and the collegiate record holder thanks to his 3:52.01 in Boston — as well as the #2 seed in the 3k and #1 seed in the 5k. If Cheserek were to win those three individual events, he’d make history by becoming the first athlete to win three individual titles at a single NCAA Indoor championships. 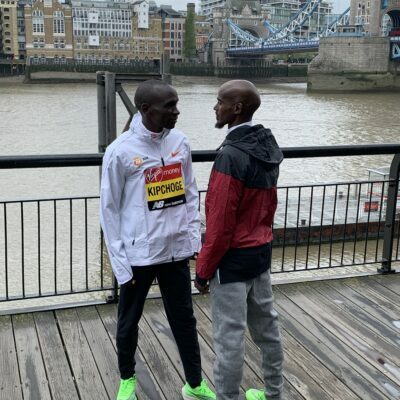 The last man to even attempt the mile-3k-5k double was Lawi Lalang in 2014, but it backfired as Lalang didn’t win the 5k or mile and as a result didn’t even start the 3k on Saturday. Ironically, Lalang failed largely due to Cheserek — who destroyed him over the last 300 in the 5k and won the 3k as well for good measure. If that were all Cheserek were attempting to do, it would be a story in and of itself. But Oregon also has the option to run him as the anchor in the DMR, and we think they will. 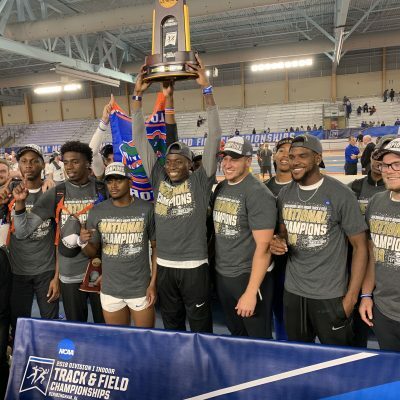 We laid out a detailed case in our DMR preview, but essentially Oregon needs to outscore its projections big-time if the Ducks are to beat Florida and win a fourth straight NCAA indoor title. Guess how many points Oregon is projected to score outside of Cheserek? So the best way to for the Ducks to win the team title is to hope Cheserek can win as many events as possible. And even though the DMR starts just 35 minutes after the 5k final does on Friday — and that to successfully pull off the quadruple, he’d have to run four finals plus a mile prelim in the span of 25 hours — we expect Cheserek to go for it. If he succeeds, it would be the most amazing thing Cheserek’s ever done. And that’s saying a lot, considering he’s already won 13 NCAA titles. Based on seeds, the Oregon women are projected to score 80.5 points, which would shatter the meet record of 71 set by Texas in 1988. Amazingly, they’re projected to score every single one of them on the track, as the Ducks didn’t qualify a single field event athlete to the meet. That doesn’t matter, though, as their sprint crew may be the NCAA’s best ever. Ariana Washington won the NCAA 100 and 200 titles last year, and she has been the Ducks’ third-best sprinter this year. The others are Hannah Cunliffe, who ran 7.07 to break the NCAA 60-meter record in February and Deajah Stevens, who was an Olympic finalist in the 200 last year. Heck, Oregon’s sprinters alone are projected to score 50.5 points, which is more than any other NCAA team is expected to score except Georgia (whose NCAA squad, ironically, consists only of field eventers). Oregon also has the #1 seed in the 60 hurdles (Sasha Wallace) as well as Raevyn Rogers (winner of the last 3 NCAA titles in the 800) and freshman sensation Katie Rainsberger (4th NCAA XC, #1 seed in the 3k), who teamed up to break the NCAA DMR record in January. Only an epic bomb can prevent the Ducks from winning their seventh team title in eight years. The state of Virginia has produced an incredible array of high school talent in recent years. The class of 2016 alone had a Foot Locker champ in 3:57 miler (Drew Hunter) and a guy who set the national HS record in the 200 (20.09) and came one spot shy of making the Olympics (Noah Lyles). Florida true freshman Grant Holloway may be the next freak athlete to roll off the production line. He won 16 individual state titles in high school and has seamlessly transitioned to the NCAA level, as he’s the NCAA leader in the 60 hurdles (7.58, a U.S. junior record and #4 all-time on the world junior list) as well as the #2 seed in the long jump (8.05m/26-5) and will likely run a leg on Florida’s 4×400, which is seeded #2. Oh, and as if that’s not impressive enough, he cleared 7-1 in the high jump in high school. 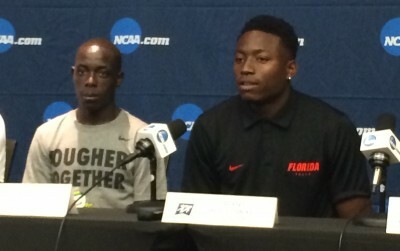 If Florida is to hold off Cheserek and Oregon, Holloway will be a key part of it. Pick an event, 400 or 800, men’s or women’s and chances are it will be good. The 400’s are headlined by a pair of world leaders. Texas A&M’s Fred Kerley (44.94) has run the fastest time indoors since 2011, when Kirani James clocked 44.80 (and ended his season by becoming world outdoor champion). Miami’s Shakima Wimbley (51.20) is undefeated this year and expected to roll to the women’s title. The men’s 4×400 should also be fierce. Texas A&M already set the NCAA record this year twice, but the Aggies barely won SECs (3:02.39) as Florida (3:02.73) and Alabama (3:02.92) ran the #3 and #5 times in NCAA history. The world indoor record of 3:01.96 is in serious jeopardy. The 800’s are among the most compelling races of the entire meet. The men’s race has a ridiculous nine guys under 1:47 this year, including two Olympic Trials finalists (Ole Miss’ Craig Engels and Penn State’s Isaiah Harris). But the winner will have to hold off UTEP’s studly Kenyan freshmen, Michael Saruni (who has run 1:46.90 and won the 800 and mile at the Conference USA meet) and Emmanuel Korir, who broke the world indoor 600 record earlier this year. The women’s race features Oregon’s Raevyn Rogers, who, as we noted above, has won the last three NCAA titles (2015 outdoor, 2016 indoor, 2016 outdoor). But she may not win this one as Texas A&M’s Jazmine Fray broke the collegiate record earlier this year, going from 2:03.25 to 2:00.69 in a single race. The top two seeds in the women’s pole vault — by a significant margin — are Arkansas’ twin sisters Lexi (right) and Tori Weeks. Lexi has vaulted higher this year (4.60m to Tori’s 4.57m) and was the NCAA indoor/outdoor champion and an Olympian last year as a freshman. Tori was still good in 2016 (6th indoors, 15th outdoors), but she’s closed the gap this year. In fact, she hasn’t lost a meet — including four wins over Lexi. Can she keep that going or will Lexi (who is older by eight minutes) avenge those early-season defeats? To our knowledge, they’d be the first siblings to go 1-2 in an individual event at NCAAs since Stanford’s Brad and Brent Hauser went 1-2 in the indoor 5k in 1999 (they also went 1-2 in the outdoor 10k in 1998). Contact us if you know of another pair who have done it. This one is pretty self-explanatory. No NCAA athlete, male or female, has ever won the same individual event all four years at NCAA Indoors. But Williams won the pentathlon in 2014, 2015 and 2016 and on Friday she can complete the sweep. Williams has the top three scores in NCAA history and her SB (4686) is over 200 points ahead of the next-best woman. For those unfamiliar with pentathlon scoring, that’s a lot. And no, Edward Cheserek can’t equal her feat as during his sophomore year he finished behind teammate Eric Jenkins in the 3000 although Cheserek indicated after the race he didn’t go all-out.